Although Ohio and Wyoming weather conditions may differ, this weekends cold spell put shepherds to the test as lambs continued to hit the ground. 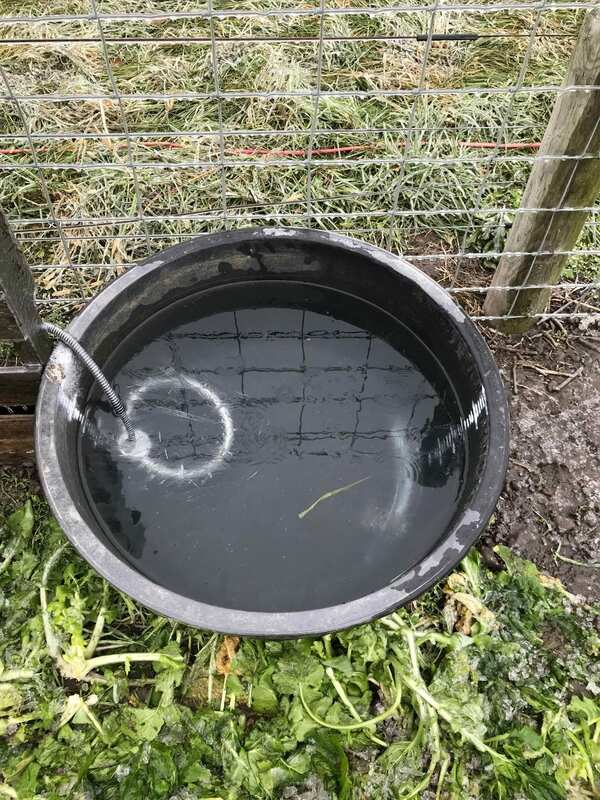 Ensuring that our small ruminants have an ample supply of fresh water is on every producers check list, but monitoring water temperature may not be. Water temperature may play a bigger role than you thought before. To learn more, be sure to read on below! If a mature, dry cow drinks six gallons of 32°F water each day and her average body temperature is 101.5°F, she is using a lot of calories to warm that water up to her body temperature. D.L. Brod, K.K. Bolsten, and B.E. Brent of the University of Missouri conducted two trials demonstrating that cold water dropped the temperature of the rumen. In each of the trials four Holstein cows on an alfalfa-brome grass hay diet were subjected to 34°F, 57°F, 80°F, and 103°F water. Multiple temperature readings were gathered to determine results. The most severe temperature drop occurred when the cows consumed 34°F water. Upon ingestion, the water immediately dropped the lower rumen temperature from 102.9°F – 79.8°F, a 23°F difference. Within 10 minutes the middle rumen temperature went from 103.9°F – 93.6 °F and the upper rumen went from 102.1°F – 99.8°F. The article noted that cows consumed much less 34°F water than they did when presented with warmer water. There was no significant difference in consumption between the 57°F and 80°F water. The highest levels of ingestion occurred with the 103°F water. Brod, Bolsten, and Brent conducted another study with Kansas State University to determine the effect of cold water on rumen temperature and digestion in sheep. Four wethers on an alfalfa pellet diet were given four water treatments. Water temperatures were at 32°F, 50°F, 68°F and 86°F. After consuming the 32°F water it took 108 minutes for the wether’s rumens to return to their pre-drinking temperature. 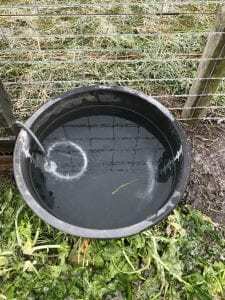 After consuming the 50°F and 68°F water it took 96 minutes and after drinking 86°F water it took 72 minutes to return each wether’s rumen to its initial temperature. The study also suggested that drinking the 32°F water suppressed microbial activity in the rumen. 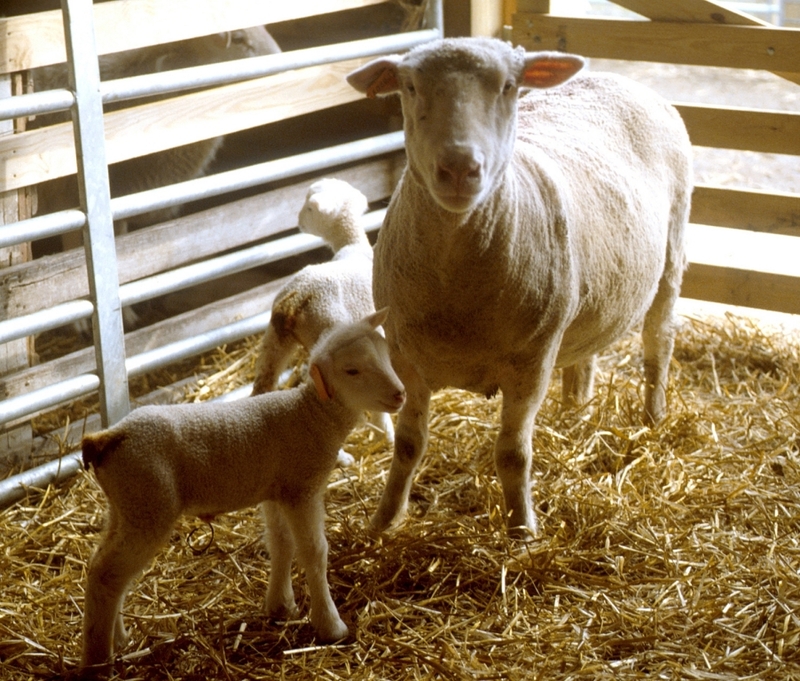 Evidence included an elevation in pH four hours after feeding when the wethers drank 32°F water compared to lower pH values after warmer water was consumed. Concentrations of volatile fatty acids (VFA’s) and ammonia-nitrogen for the 32°F water were depressed, as were digestibility values when compared to levels found after consuming warmer water. Posted by Braden Campbell at 8:00am January 22, 2019 Posted in Management and tagged Health, Management, Nutrition. Bookmark the permalink.